This million-dollar lake view is irresistible! Imagine morning coffee on the oversized screened porch every day! 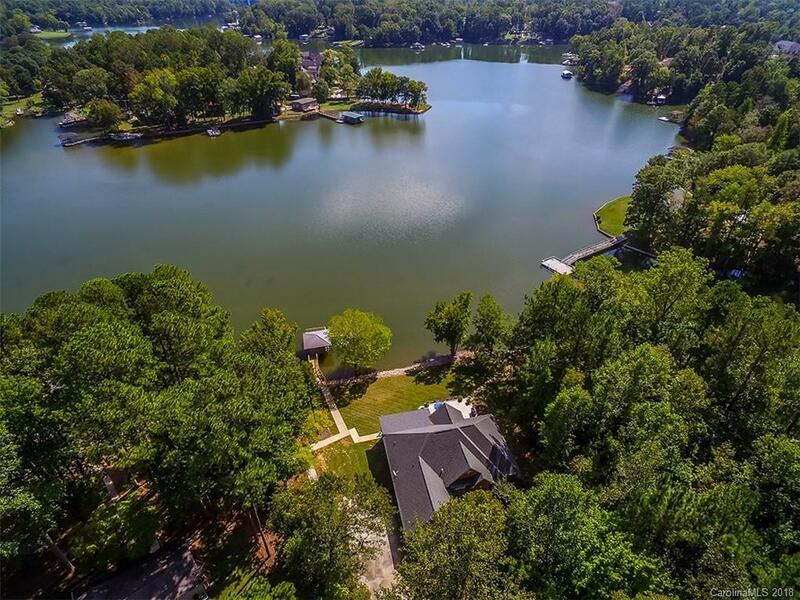 There’s just nothing like lake living…especially in this rare full-brick ranch and ½ that has been meticulously renovated and sits on a flat, one acre lot. The lot has been professionally landscaped and is absolutely stunning. Large, open spaces in this lovely home with gleaming hardwoods, updated lighting and lots of natural light as well. New kitchen with granite countertops and new appliances. Two secondary bedrooms in split floorplan, gracious master with luxury bath, bonus upstairs. Views of the lake from nearly every room in the house! Looking for handicapped accessible? This home has many accessible features, including a wide sidewalk from the side-load garage all the way to the dock! Fantastic Clover school zone. Enjoy low-maintenance lake living that is completely move-in ready. We think you’re going to want to call this hot Lake Wylie property, home!